New York’s climate adaptation plan is one of the most scientifically accurate in the world. The city government has funded 250 projects for a total of $19,5 billion. New York State has a number of mitigation programs, including a cap-and-invest program to reduce CO2 emissions by 80% before 2050. In October 2012 hurricane Sandy hit the east coast of the United States, drowning New York City under an unprecedented storm surge that caused death and destruction. Sandy made clear to everyone how vulnerable New York was to extreme weather events and how much the city has to lose from climate change. Hurricanes and similar events are part of a changing pattern in the climate of the area. More hot summer day, shorter winters with less snow, earlier springs are already happening in New York. In the future, temperatures in the densely built environment of the city will be seven degrees higher than the surrounding areas, while sea levels are also foreseen to rise by around 75 cm by 2050. Some parts of lower Manhattan are barely 1.5 m above the sea level. Eight months after Sandy, the city administration presented “A stronger, more resilient New York”, a comprehensive climate adaptation plan to reduce the city’s vulnerability to coastal flooding and storm surge, funneling $19.5 billion into 250 projects. “A stronger, more resilient New York” is deemed to be one of the most scientifically-accurate climate adaptation plans in the world. To implement the recommendations from the plan, an Office of Recovery and Resiliency (ORR) was established in March 2014. The projects range from improving the communication of current flood risks to identify and test strategies for protecting vulnerable neighborhoods from extreme heat health impacts, from the installation of armor stone shoreline protections and break waters to beach nourishment and development of flood protection standards and certifications for existing urban buildings. New York also aims to reduce emissions of greenhouse gases by 80 percent by the year 2050 and is part of the Regional Greenhouse Gas Initiative (RGGI), a cap-and-invest program designed to reduce CO2 emissions from electric power generating facilities. development of a Green Bank with $1 million to coordinate existing clean energy finance programs and expand them to transform the clean energy marketplace. In 2012 hurricane Sandy gave a stark preview of what is brewing for New York, as for many large cities on coastlines. With careful and data-driven analysis of risks and possible actions, NYC and its state are actively working to avoid worst-case scenarios while getting adequately prepared. 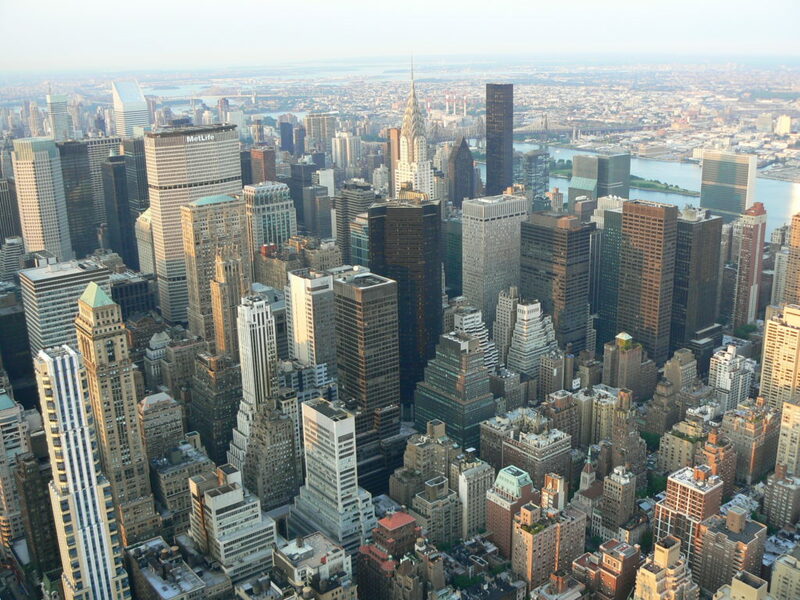 New York is an active Member of ICLEI and a reporting city of the carbonn Climate Registry.